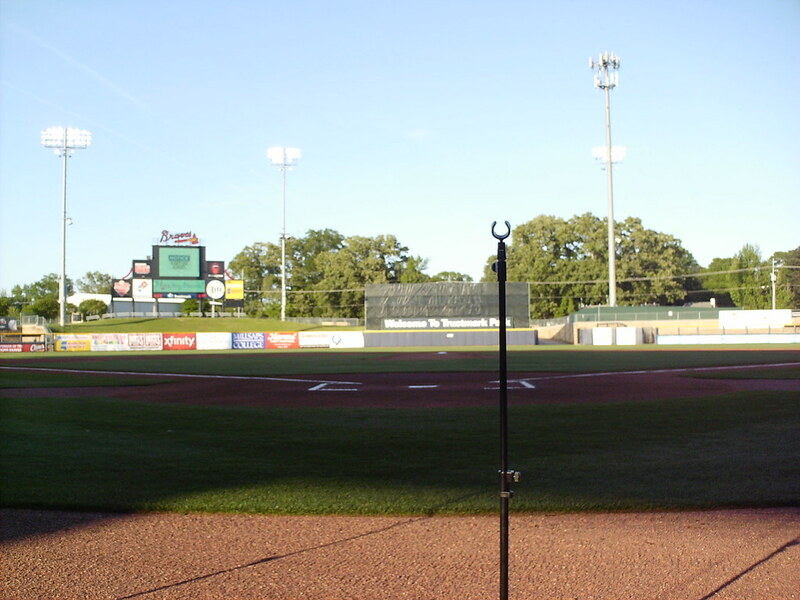 The view from behind home plate at Trustmark Park. 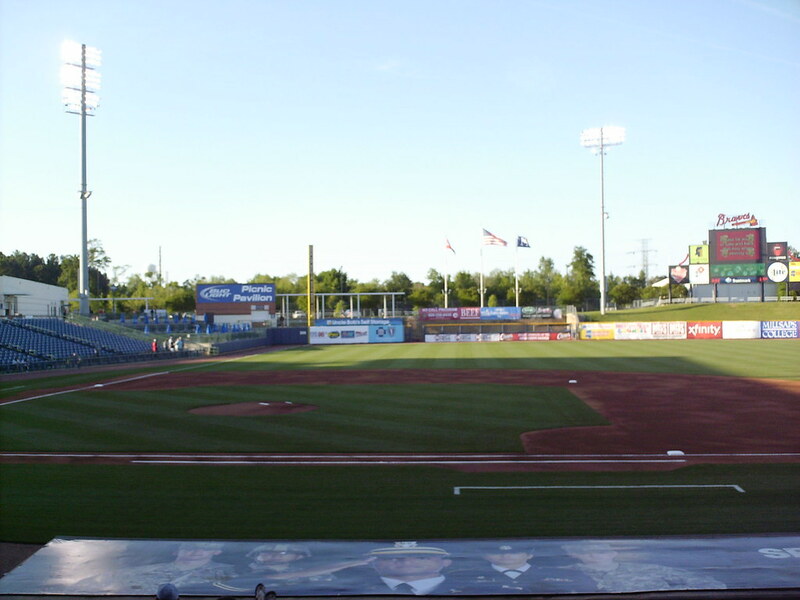 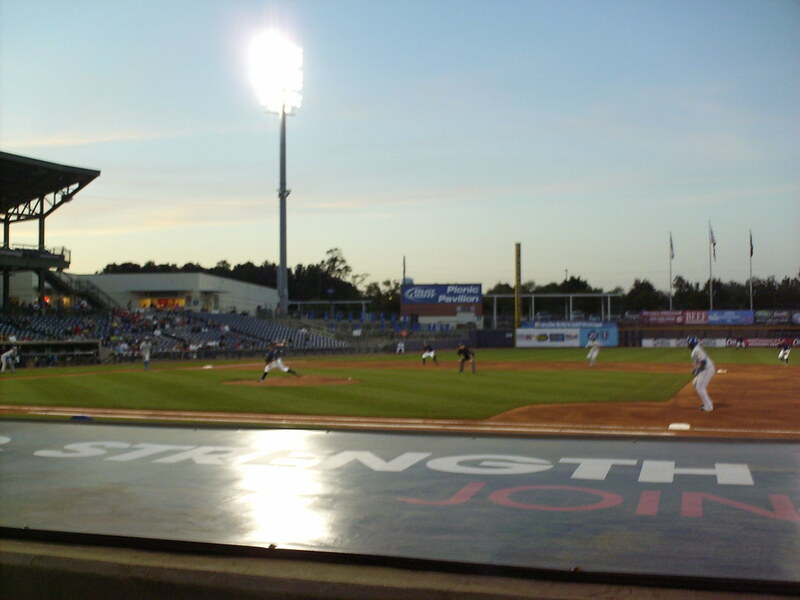 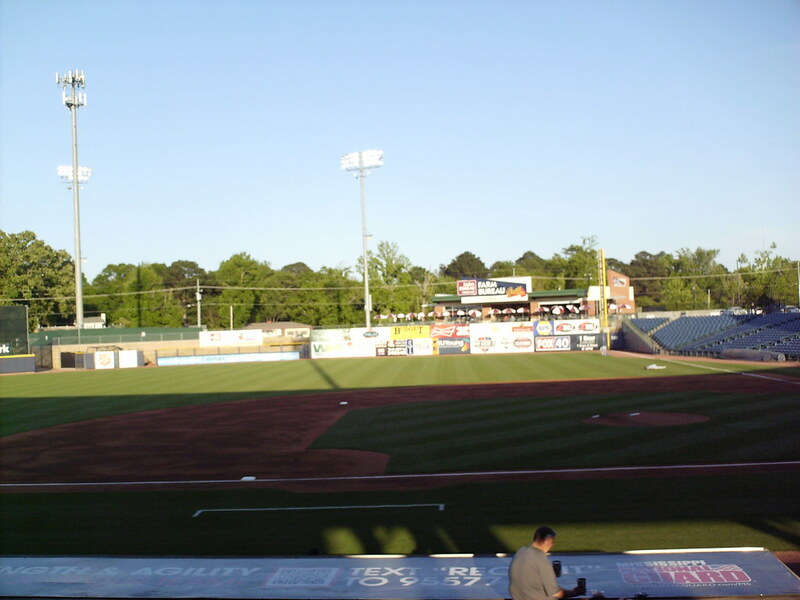 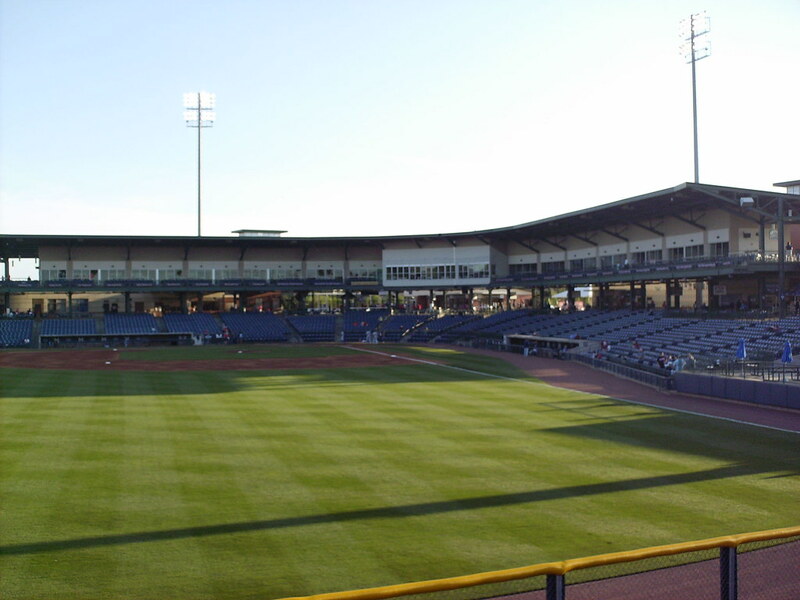 The grandstand at Trustmark Park, as seen from left field. 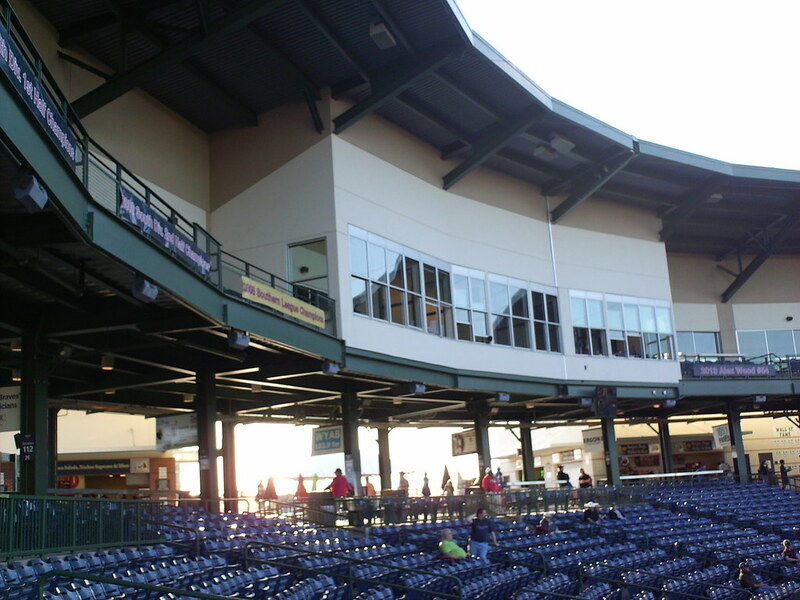 The pressbox behind home plate, with luxury boxes set back on either side. 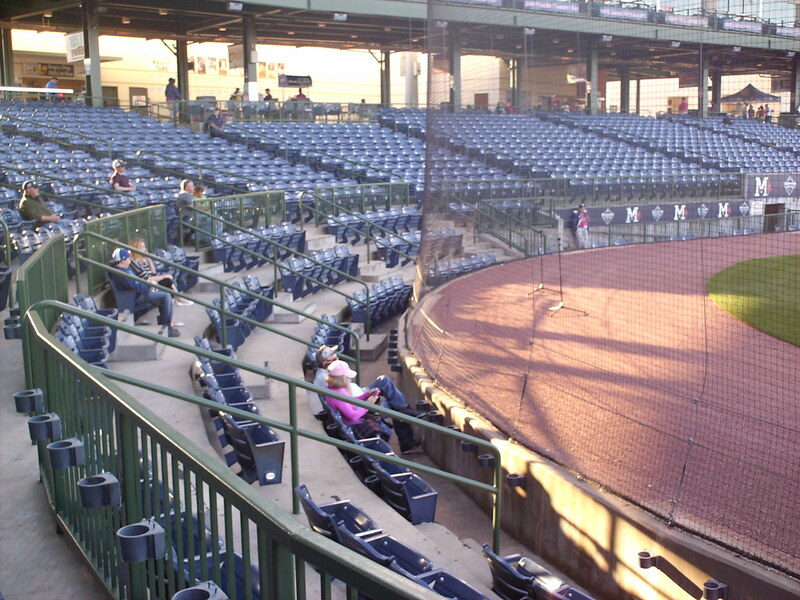 The rows behind home plate feature lots of space and leg room. 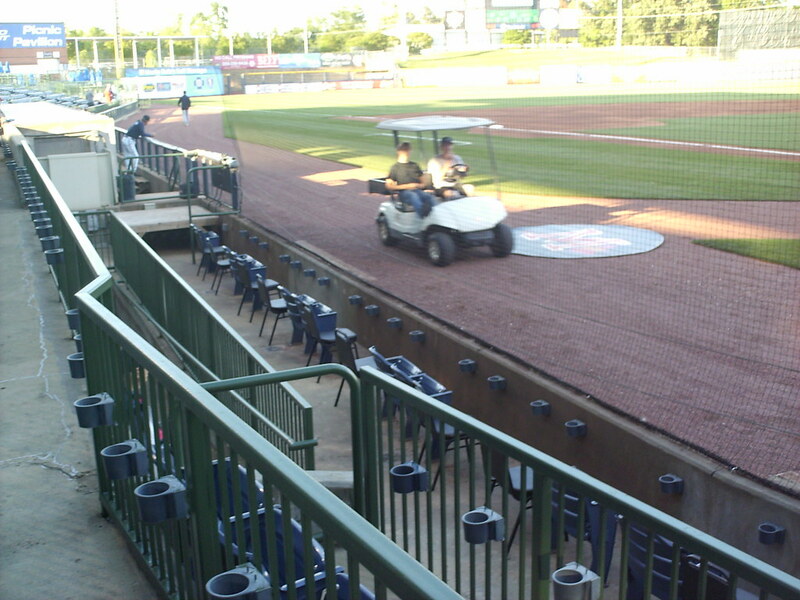 Handicap seating right up against the field along the third base line. 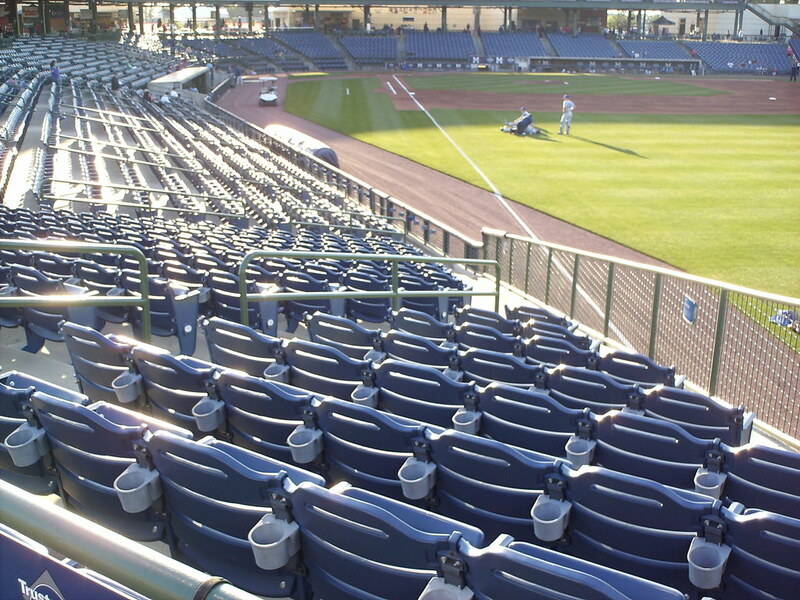 The seating bowl curls back in to face home plate, hugging tight to the foul line in right field. 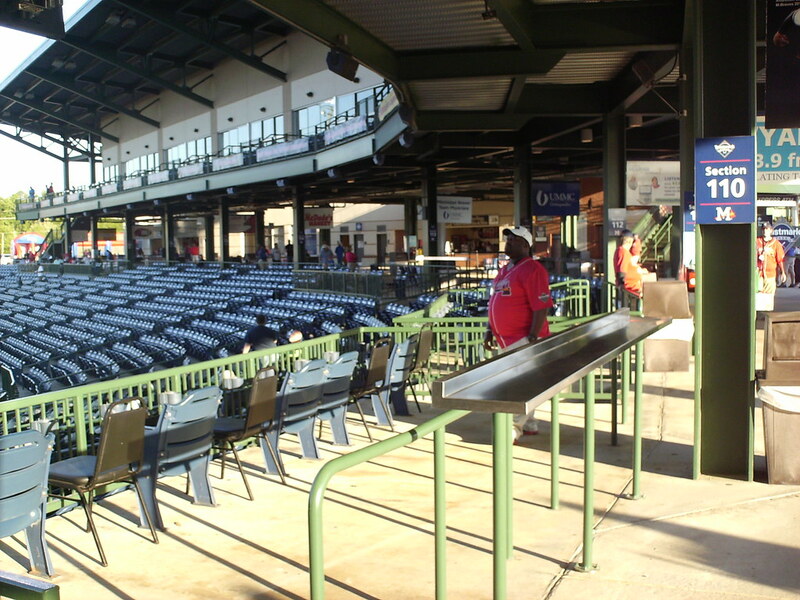 Semi-private boxes sit along the concourse at the top of the seating bowl behind home plate. 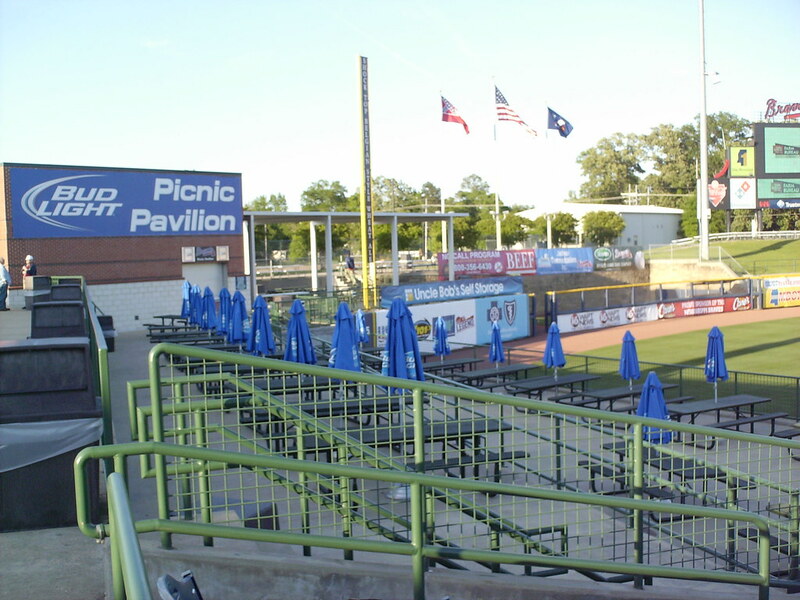 Tiered picnic table seating and covered pavilions in the left field corner. 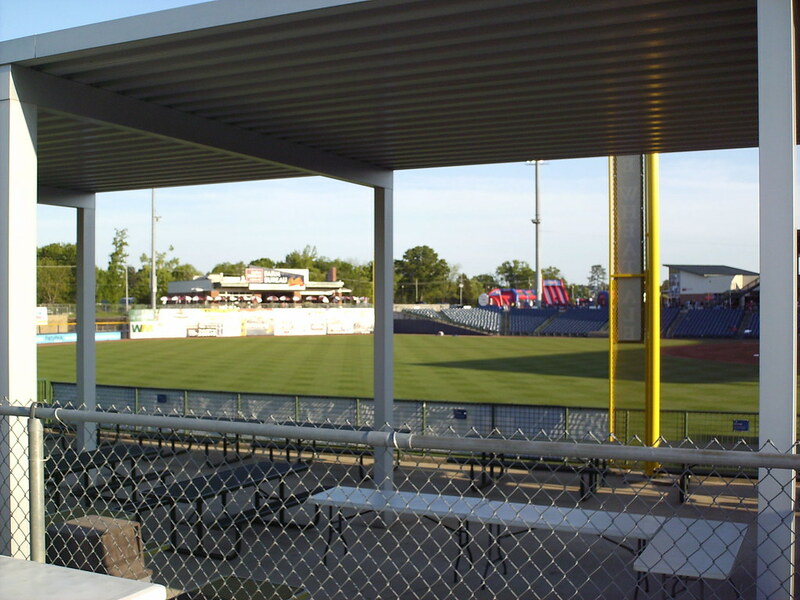 The view of the field from the left field picnic pavilion. 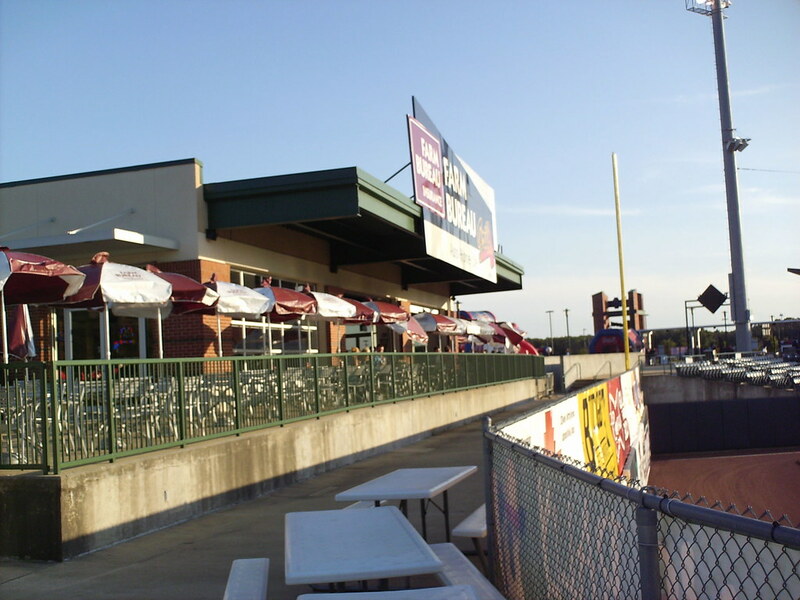 An indoor restaurant with deck seating overlooks the field from the right field corner. 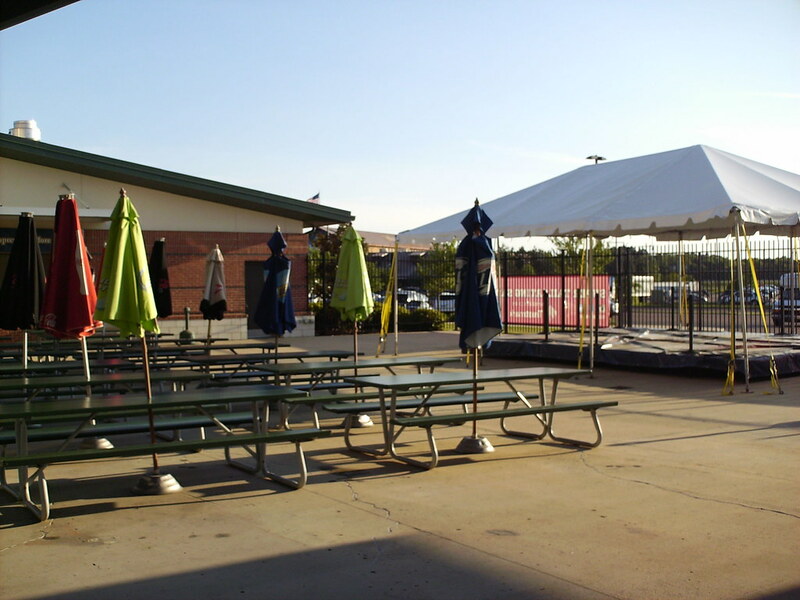 The concourse opens up behind the plate, with room for picnic tables and a performance stage. 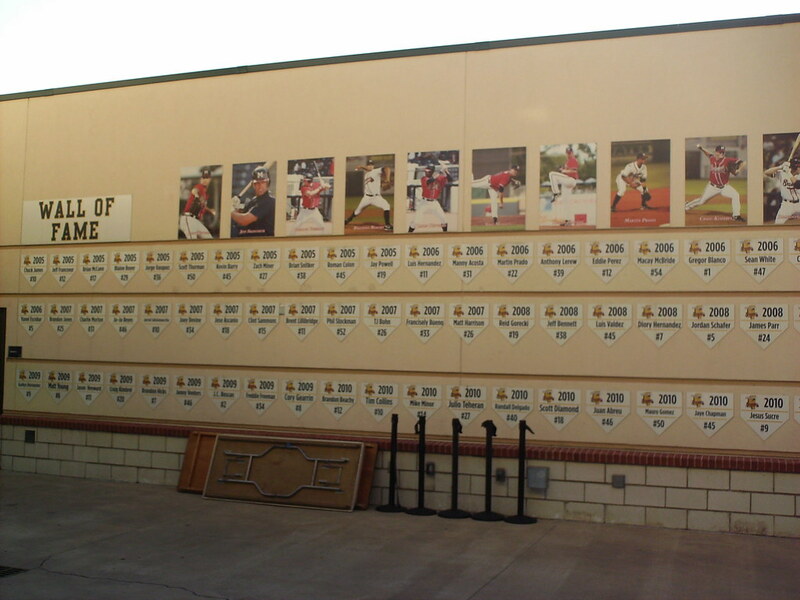 The Mississippi Braves Wall of Fame along the concourse at Trustmark Park. 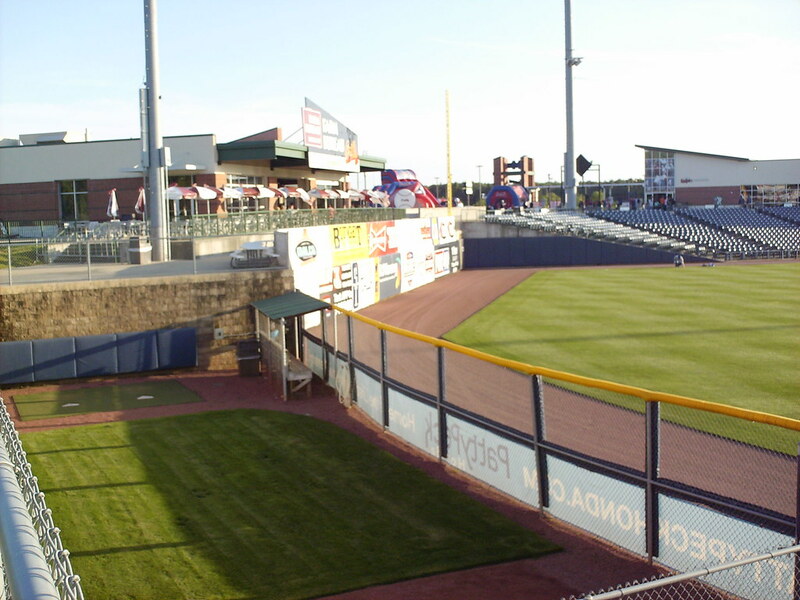 A large rolling berm runs along the outfield wall in left and center fields. 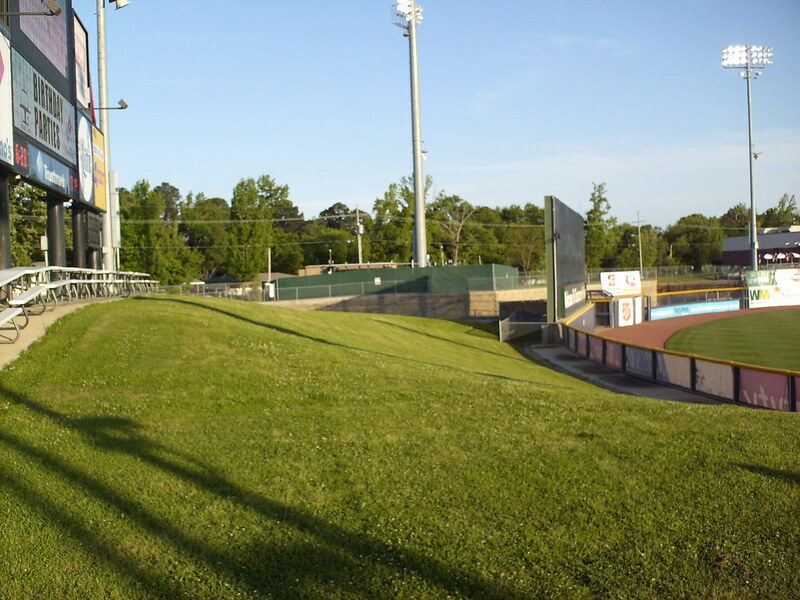 The outfield wall rises in height next to the bullpen in right field. 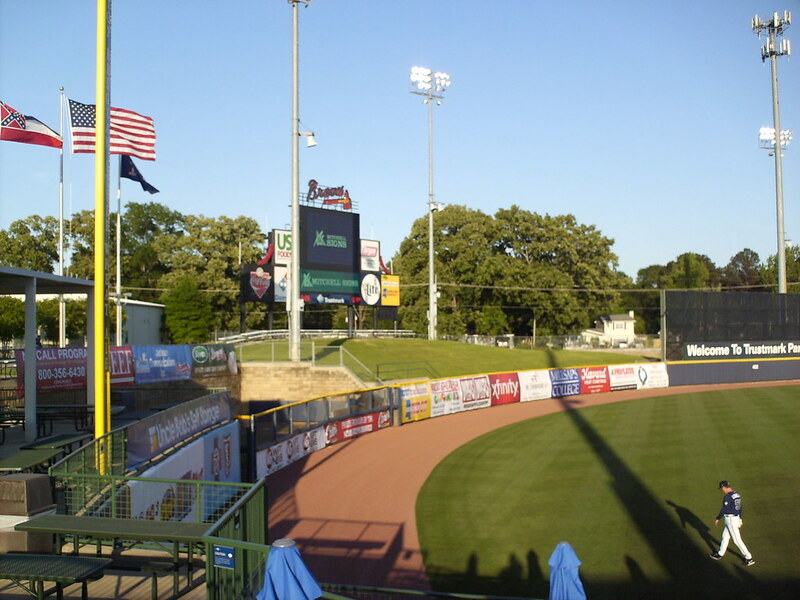 The scoreboard and flag poles in left field. 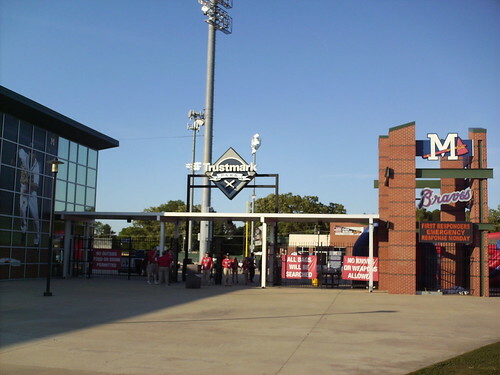 The Mississippi Braves on the field during a game at Trustmark Park.